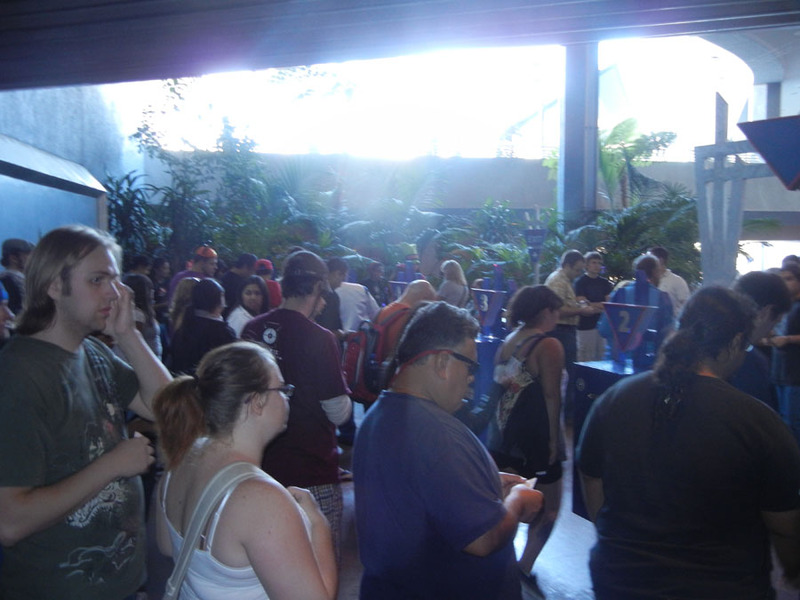 The Fastpass distribution point for Space Mountain is stashed in a little nook next to Space Mountain. 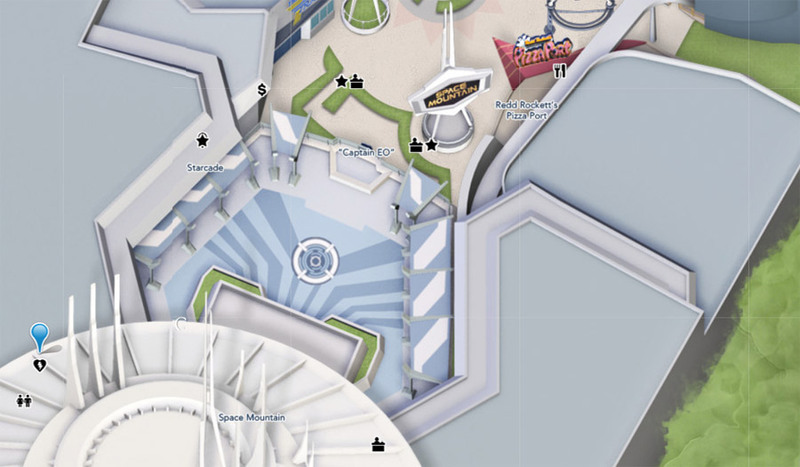 There is a longish corridor near the Space Mountain entrance on the lower level, past Pizza Port. There are five ticket dispensers. 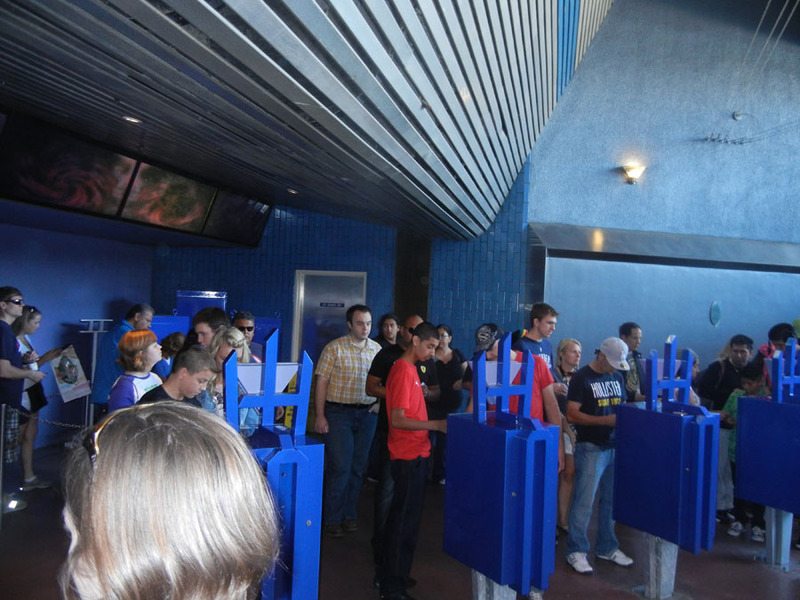 These photos were taken in October, when Space Mountain "Ghost Galaxy" was being presented. It looks kind of grim down here. It looks subterranian, but I don't remember walking downstairs to get there.